Ian Rapoport of NFL Network reports the Ravens are re-signing quarterback Robert Griffin. The Ravens continue to mention Robert Griffin III as an option to start Week 11's game against the Bengals. The Ravens have left things open for all three of their QBs to potentially suit up against Cincinnati, though some believe this is more showmanship to throw off their opponent than an actual case where all three have a legitimate shot of starting. Griffin's legs make him an intriguing fantasy player should he see a starting role again, but that seems like a long shot at this point. Baltimore quarterback Robert Griffin completed 9-of-15 passes for 66 yards against the Dolphins on Saturday. The veteran also rushed five times for 41 yards. Griffin started for the Ravens with Joe Flacco resting on the sidelines. 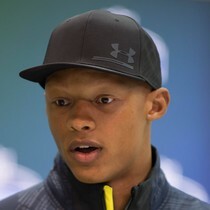 The veteran quarterback has no chance of unseating 2018 first-round draft pick Lamar Jackson as the Ravens' backup quarterback. The Cleveland Browns have announced the release of Robert Griffin III. RG3 ended 2016 with 886 yards, two touchdowns, and three interceptions with 190 rushing yards and two touchdowns. Griffin was never able to establish himself as he only played five games for the Browns and from the beginning it wasn't working. As of now it would be hard to see RG# starting anywhere. For the time being Robert Griffin III has zero value in fantasy football circles. 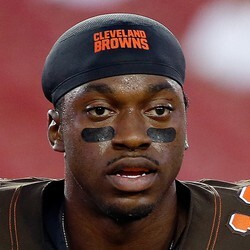 ESPN's Pat McManamon believes the Cleveland Browns will part ways with quarterback Robert Griffin III in the offseason. Griffin's tenure in Cleveland was short, but not too sweet. He was plagued by injury and failed to impress in his limited time under center in 2016. He finished the disappointing campaign with 866 yards passing, two touchdowns and three interceptions in five games played, adding another 190 yards and two scores on the ground. 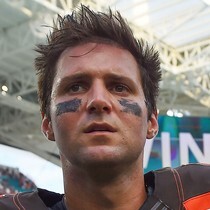 In Griffin's presumable departure, the Browns will need to fill the gaping hole at quarterback that has been seemingly vacant since the Tim Couch era. 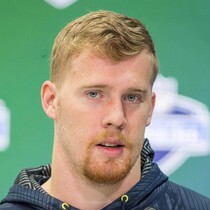 McManamon believes the void will be filled by Tyrod Taylor if the ultimately Bills decide to move on from him as they are expected to -- per reports.